I did not make many cards in 2016, and I started missing my hobby during winter break. I cleaned the teaching stuff off of my craft desk and got back to stamping at the end of December. I received some fun craft supplies for Christmas gifts and really looked forward to trying out the Mini MISTI. I purchased a kit from my friend Pam in November and finally had time to play with the stamp set and card ideas that she prepared. I also started pursuing blogs for inspiration. 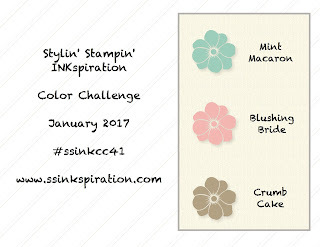 I found a fabulous color combination on the SSINKspiration blog, and I discovered the Stamp Ink Paper challenge blog. 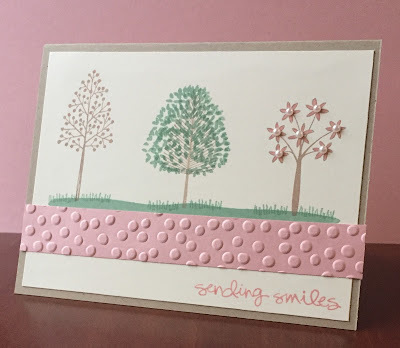 I made a card for these challenges using the Totally Trees stamp set. The MISTI makes it easier to build scenes and make multiples of your cards, and I love it. Supplies Used from Stampin Up! I will be a full-time student this semester for my teaching credential, but I still want to make a little time for my hobby. I joined a monthly stamp club to have crafting time on my calendar and have a chance to see some of my local, crafty friends. Happy New Year Sara! I'm so happy you've returned to your card-making hobby! Your cute tree card made my heart pitter-patter. The tiny pearls finish off the cute tree. I really hope to continue seeing your cards on the Stamp Ink Paper card challenge! Thank you so much for joining with us this week! Such a pretty color combination and a great way to get started again on your stamping! Thanks for sharing this at Stamp Ink Paper, too! What a pretty card Sara! I love the color combination and the addition of the pearls on your tree. Thanks so much for joining us at Stamp, Ink, Paper this week for our Card Maker's Choice Challenge! Sara, your card is so sweet and gorgeous. 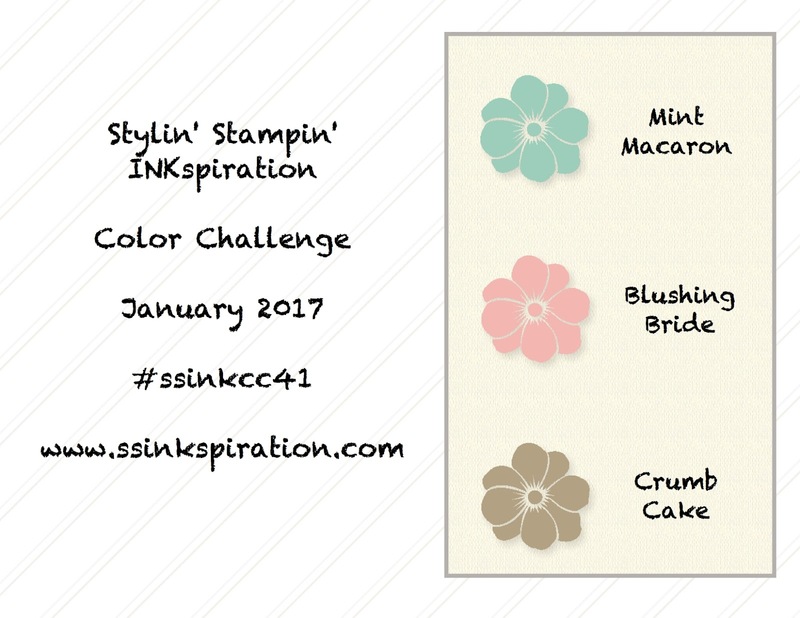 Thank you for joining us for the SSINK color challenge! Sara, I love your sweet card. 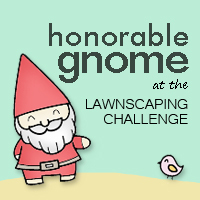 Thanks so much for playing along with the SSInk Color Challenge! Cute card, Sara! Love all the texture! Thanks for joining us at SSINK!